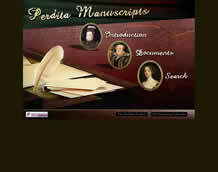 We have now enhanced their path-breaking work by linking the new detailed catalogue descriptions with complete digital facsimiles of the original manuscripts. The result is a resource which is indispensable for anyone interested in women and women's writing in Early Modern Britain. One of the key attractions of the resource is that it brings together little known material from widely scattered locations. This first part includes c270 manuscripts from 15 libraries and archives in the UK and North America.